Thompson’s career in education began at the Emanuel County Institute in Graymount-Summit, Georgia. He moved through the administrative ranks quickly, first becoming the principal and athletic coach at the high school in Hawkinsville and then, at age twenty-four, becoming superintendent of Hawkinsville Public Schools. After five years as superintendent, Thompson assumed the position of state school supervisor in the Georgia Department of Education. In 1937 Governor E.D. Rivers appointed Thompson assistant state school superintendent. After working his way to the state capitol, M. E. Thompson threw his support to Ellis Arnall in the 1942 gubernatorial campaign. 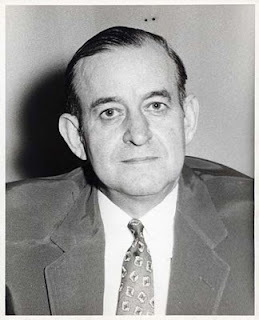 Once Arnall defeated incumbent Governor Eugene Talmadge, he appointed Thompson as his executive secretary and in 1945, as state revenue commissioner. In 1946, Thompson set his sights on the office of state school superintendent but as election season approached, he decided instead to run for lieutenant governor – a new position created by the 1945 state constitution. Without aligning himself with any of the candidates for governor, Thompson won the race. 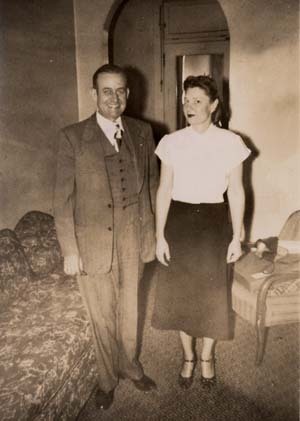 Below: Thompson and wife Ann in the Governor's Mansion, 1948. Shortly after the election, governor-elect Eugene Talmadge died suddenly. With no precedent to follow and no specific direction outlined in the state constitution, three men claimed rights to the office of governor – creating what came to be known as the “Three Governors Controversy.” After weeks of indecision and infighting, the court upheld Thompson as the rightful governor until a new election could be held in 1948. Amidst trying conditions, M. E. Thompson fought hard to make progress on the goals of the Democratic Party’s platform. During his brief tenure as Governor he increased spending for education, expanded the construction of roads and bridges, and improved the state’s park system. And, thanks to an increase in state revenue, he achieved all these improvements with no new taxes. Below: Thompson on the campaign trail, ca. 1950. After Thompson lost to Herman Talmadge in the 1948 Democratic gubernatorial primary, he regrouped and prepared to challenge Talmadge in the race for a full gubernatorial term two years later. 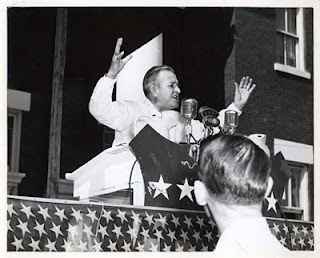 Though unsuccessful in 1950, Thompson continued to pursue a life in politics, campaigning for Governor again in 1954 and for a seat in the U.S. Senate in 1956. After defeat in both races, Thompson retired from the campaign trail and settled in Valdosta, Georgia where he began a successful career in real estate. The Richard B. Russell Library for Political Research and Studies is open for research Monday through Friday from 8:30am to 4:30pm. For more information, please visit http://www.libs.uga.edu/russell/ or call (706) 542-5788.